On arrival in Sapporo, you will be welcomed by our local partner at the airport and will assist you with your transfer to Noboribetsu to witness an out-of-this-work sight when you visit Hell Valley. Visit Date Jidaimura, a history theme part highlighting Edo Period, the most attractive era in their history. Lunch will be served at a local restaurant. In the afternoon, enjoy bear interaction at Mt. Showa Bear Ranch. The best way to end today’s itinerary is at Lake Toya View Point, appreciate sunset sinking on the lake surface in a quiet environment. Overnight at the hotel. Rise early and take a breakfast and prepare for your journey to Sapporo. Have an orientation about the city while you visit some of the significant sights like Odori Park, Clock Tower and the likes. 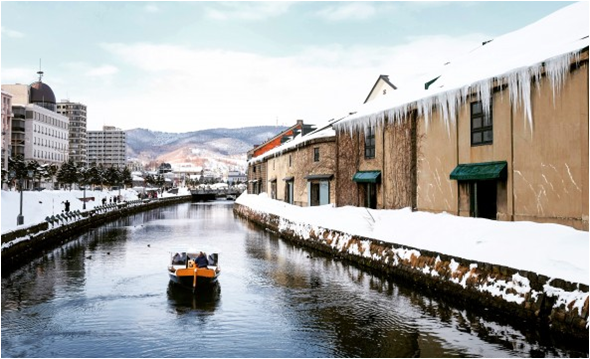 Don’t forget to go shopping for yourself, family and friends at the famous shopping district in Sapporo at Tanukikoji, known since 1873 before heading back to the hotel. Overnight at the hotel. After breakfast, transfer to Asahikawa. Penguin Walk” is an icon of winter in Asahiyama Zoo. You can see the lively penguins closely! Aside from that bbserve from various angles all the animals inside the zoo. Return to the hotel after the tour. Overnight at the hotel.